To truly experience the Northwest Territories, take your camping gear for a highway driving adventure! Long ribbons of road without traffic jams or urban clutter take you through vast landscapes with unrivaled vistas - scenic boreal forests, breathtaking waterfalls, mountains, plains and valleys. Take your time, explore. Savour the wide-open spaces and quiet of the wilderness. surround yourself with wild beauty and the whispers of history. Immerse yourself in the ancient heritage of our aboriginal people. Discover the comfort and natural beauty of our well-maintained territorial parks and campgrounds. All along the highway, stopping places beckon: wayside picnic areas, campgrounds, parks, quaint churches, traditional villages, tumbling rapids or roaring waterfalls. You’ll find countless places to camp, fish, view wildlife, canoe, pick berries, take a photo or a hike. 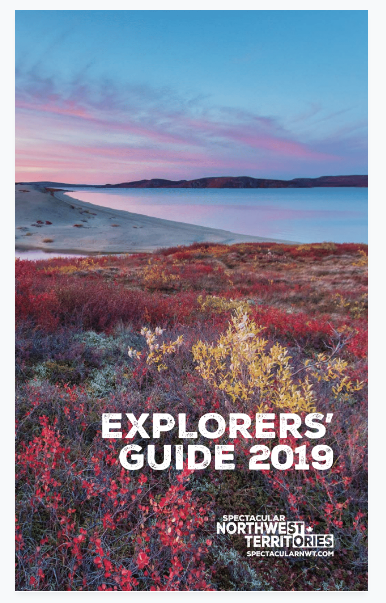 The territorial parks and campgrounds are operated by the Government of the Northwest Territories Tourism and Parks Division. Services are provided from May 15 to September 15 each year. Our parks and campgrounds put you in the heart of pristine wilderness, but with the comforts of spacious camping sites in parks designed with your camping comfort in mind. As you travel along our highways from campground to campground, you will likely encounter moose, bears, bison, fox and a wide variety of other wildlife on your journey. Encounters with large wildlife in our campgrounds are rare, but if you want a more intimate experience, hire one of our local naturalist guides who can provide you with safe and fascinating insights into the inhabitants our natural environments. Many of our campgrounds offer opportunities for day hikes. Check out individual campgrounds in our website for more details. All our campgrounds are located near or lakes, offering unparalleled opportunities to explore NWT waterways by canoe or motorized boat. You can follow the waterways in the footsteps of our Aboriginal people, and the early explorers. The freshwater fishing in the NWT is unsurpassed, and our parks and campgrounds are the jumping off point for a great day's adventure with friends or family fishing for your supper, and for the stories you will bring back home. Our fish stocks are healthy, abundant and delicious! The original inhabitants of our territory still thrive in our communities today. Many of our campgrounds offer activities and events that allow you to experience firsthand the cultures of the Aboriginal people of the Northwest Territories. You can try your hand, and satisfy your appetite, with bannock making or take part in drum making workshop. These are just examples of many activities that allow you a deeper glimpse into the lives of the First People of our territory. Use our territorial parks and campgrounds as your base to explore the waterways that were the original highways linking the people and settlements of the Northwest Territories. Plan a multi-day journey over our modern highways, using our campgrounds as your accommodation while your explore nearby villages, hike local trails and swap stories with our welcoming locals. Then, relax and unwind, snug in your campsite in front of your fire, your other life a million miles away as you watch the flames dance and breathe the fresh scent of pine and spruce carried on the clean breeze blowing up from river. Our territorial parks and campgrounds offer some of the best camping accommodations in North America. We offer 17 campgrounds on the doorstep of pristine wilderness but within reach of modern community services and amenities. Our campsites are spacious, and many campgrounds provide showers and flush toilets as well as dumping stations for RVs. All our campgrounds provide secluded sites for those who want to get away from it all in tents. Firepits are standard for all camping sites. Our campgrounds offer an affordable way to comfortably explore the Northwest Territories in your own or rented vehicle; they are conveniently located along our highways throughout the territory, allowing you to explore our land and communities at your own pace.